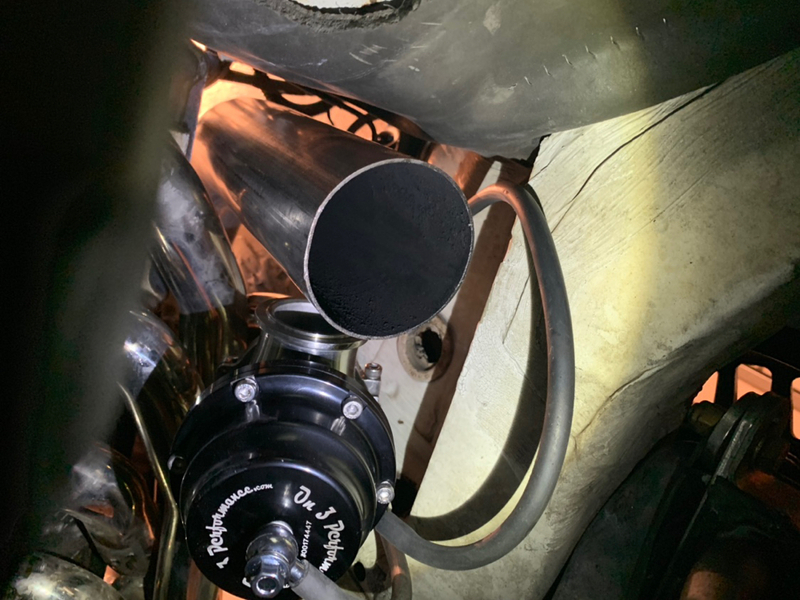 Hey everyone, I am trying to finish up my down pipe setup so that i can start working on the rest of the exhaust (center exit coming ). I have an m52b28 swapped in with a rapidspool/good n' tight manifold. 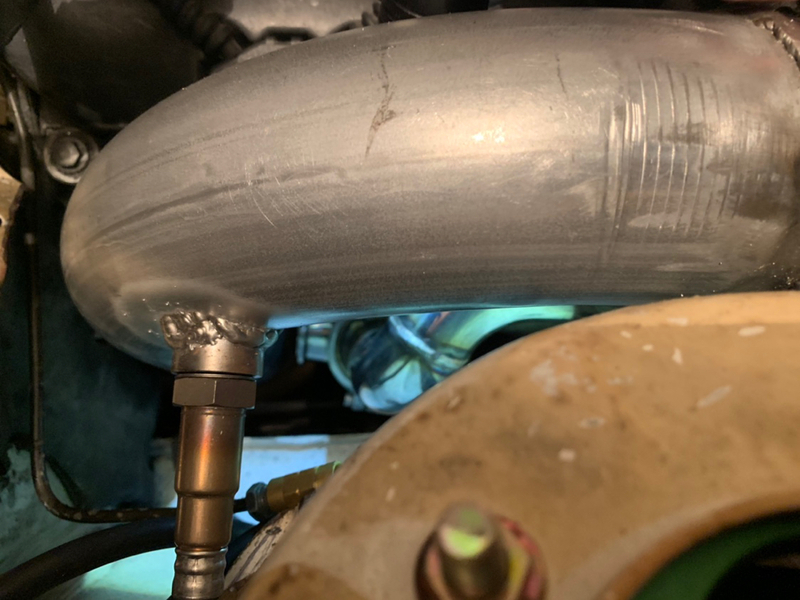 I have my downpipe fabbed up, and the clearance between the downpipe, head, and body of the car is all pretty good. It's basically fine like that. 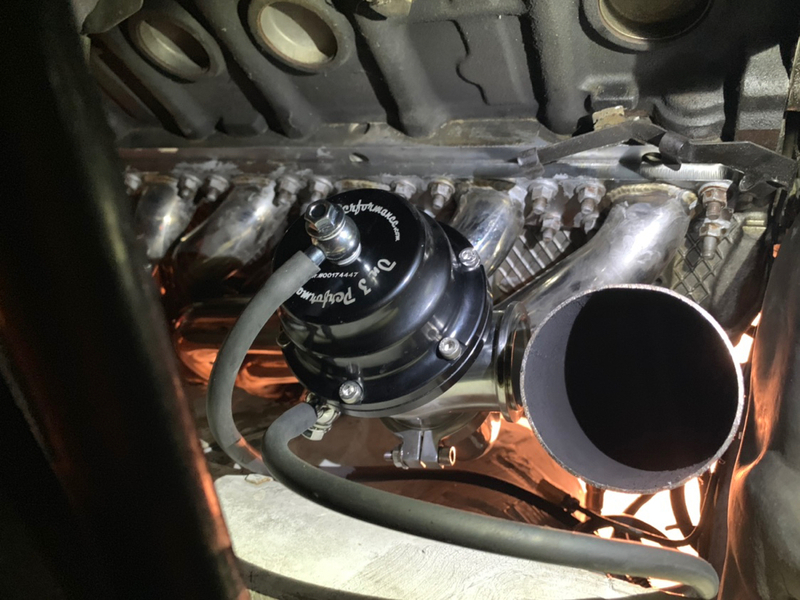 But to prevent cracking you would need flex piece between the wastegate dump and downpipe. And also it would be better to aim to the flow direction. I would love to have a flex pipe in between, but there definitely isn't enough space that way. I will see how my clearance is looking as I rotate the wastegate around. I finally put the car back on jack stands last night so I can work on this. can you rotate that waste gate and have it enter the dump pipe after the next bend? or on the end of the next bend? 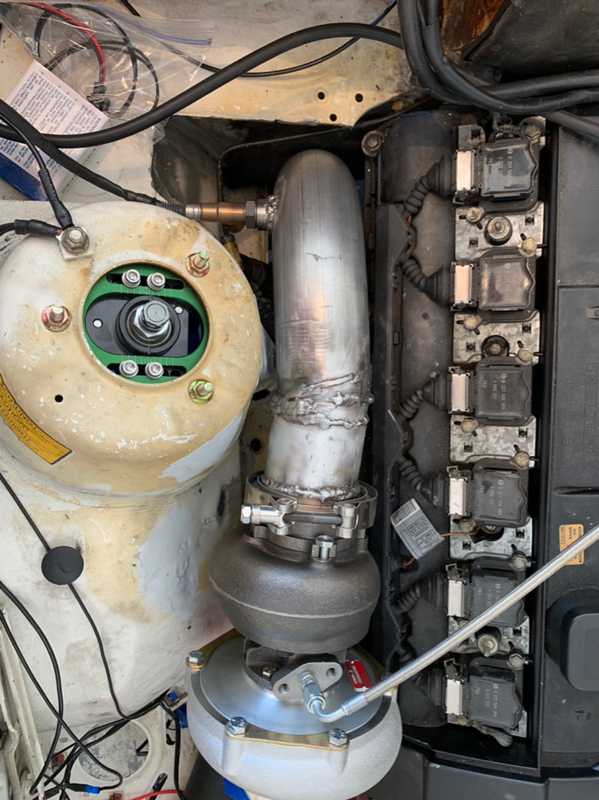 Bit hard to see with those photos but can you spin the wastegate ~30degrees to the left, put a 90deg onto the wastegate and then bring it down parellel with the main dump. entering at 90 degress is certainly not ideal for flow. But would it make a seat of the paints difference, not sure. probably not.